Today was a very good, very long day. I'm going to try to keep it brief tonight because it's late and I'm quite tired. All in all, I learned a lot and got some great exercise. Below are the highlights. Chris made pancakes for me and Lisa this morning. They were fantastic! 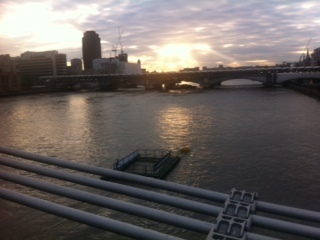 Afterward, I went with Lisa to the tube on her way to work. 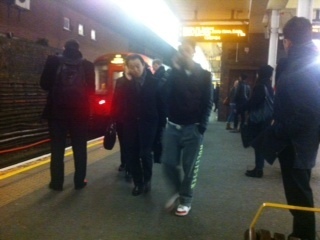 She dropped me off at Notting Hill and then kept going to her stop. 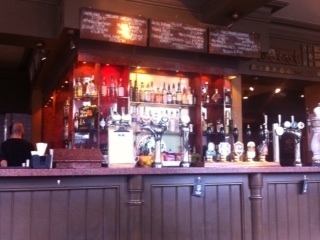 I walked around Notting Hill and then decided to have lunch. I found a great pub on Yelp that was about a mile and a half away, so I walked. 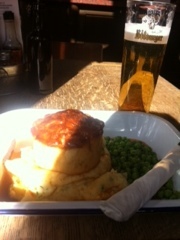 For lunch, I had a venison pie with mashed potatoes, peas, and a beer. The pub had free wifi, so I used the opportunity to look through my Lonely Planet for London and look up a few things on Google Maps. I decided to try to get to the furthest away place I selected: the Tate Modern. I only had two hours to get there before closing and decided that just finding it on my own would be enough if I arrived too late. I made it in time and was able to see a number of paintings and sculptures from some of my favorite artists. 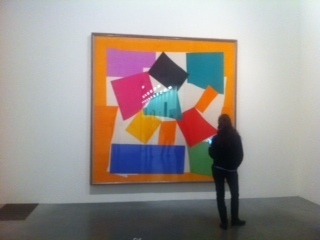 Below is one of Matisse's paintings. After the museum, I took the tube back to Lisa's. 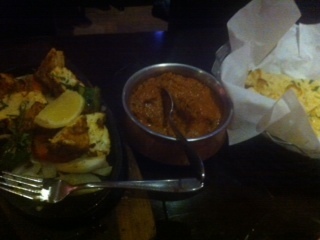 Eventually, I went for dinner at an Indian place / English pub called Namaste Lounge. It was pretty good. Now, I'm back home for some rest before tomorrow. All of my photos from the day are below. My blog software is being picky about photos from my iPad or I would mix these into the post. Enjoy!